Hugo Noms for Zeno Clients… | Zeno Agency Ltd.
There’s just no stopping Aliette de Bodard this year: hot on the heels of a BSFA nomination, and two Nebula Award nominations, we’re hugely excited to announce that Aliette has been nominated in two categories for the 2013 Hugo Awards! 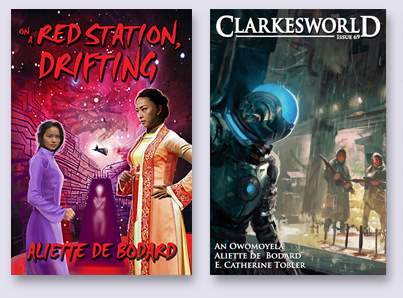 ON A RED STATION, DRIFTING (Immersion Press) has been nominated in the Best Novella category, and IMMERSION (which was published in Clarkesworld #69, June 2012) has been nominated in the Best Short Story category. Both pieces were also nominated for 2012 Nebula Awards in the same categories, and the latter was nominated for a BSFA Award this year. You can read the excellent IMMERSION free online, here. Aliette is no stranger to multiple nominations: her novelette THE JAGUAR HOUSE, IN SHADOW was nominated for a Hugo and Nebula in 2011. The story can be found in its entirety, here. Let’s hope 2013 will be her year…! Shai is a Forger, a foreigner who can flawlessly copy and re-create any item by rewriting its history with skillful magic. 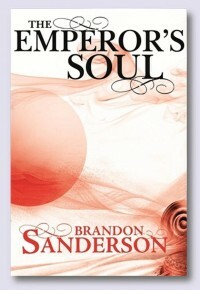 Though condemned to death after trying to steal the emperor’s sceptre, she is given one opportunity to save herself. Despite the fact that her skill as a Forger is considered an abomination by her captors, Shai will attempt to create a new soul for the emperor, who is almost dead from the attack of assassins. Brandon has also been nominated in the Best Related Work category, as part of the team who put together Writing Excuses Season Seven (which Brandon worked on alongside Dan Wells, Mary Robinette Kowal, Howard Tayler and Jordan Sanderson). Congratulations to our talented nominees! Winners of this year’s Hugo Awards will be announced on September 1st, 2013, at LoneStarCon 3.